The 2017 fire season in drought-stressed California ravaged whole residential neighborhoods in Napa and Sonoma Counties in Northern California and devastated Santa Barbara County in Southern California. A few months later the damage was compounded in Southern California when heavy rains triggered massive mudslides, causing millions of dollars’ worth of damage in one of the wealthiest neighborhoods in the country—Montecito. 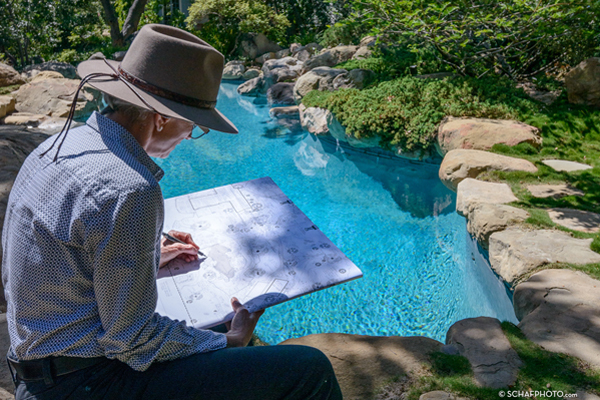 As I watched the news on the evening broadcast I feared what might be happening at the Lovelace estate where my firm, PGAdesign, had recently completed HALS documentation of Isabelle Greene’s landscape masterpiece. As it turned out I had to wait several days even to find out, as the area of devastation and evacuees was policed and firmly cordoned off. Finally, crews were allowed in to begin mud and debris clearing there, and in the surrounding neighborhoods. In May of 1974 I was part of a group of graduate students from the University of California, Berkeley campus who spent four days in Santa Barbara as part of our Landscape Architecture 205 class requirement. Our professor and tour leader was Russell Beatty, ASLA. Russ taught planting design, ecology, and plant identification classes at UCB. I was his teaching assistant for one of his plant ID classes. For this class we visited the Santa Barbara Courthouse, a 1929 Spanish colonial revival building designed by architect William Mooser III; the Santa Barbara Botanic Garden that features California native plants, designed by Elizabeth Kellum de Forest with Beatrix Farrand; the picturesque-style Alice Keck Park, also designed by landscape architect Elizabeth Kellum de Forest; and other sites. 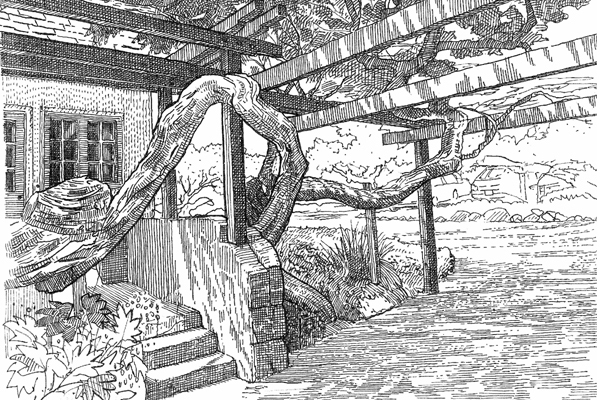 Alice Keck Park donated her home and surrounding garden to the local museum, who named it after Mrs. Park. 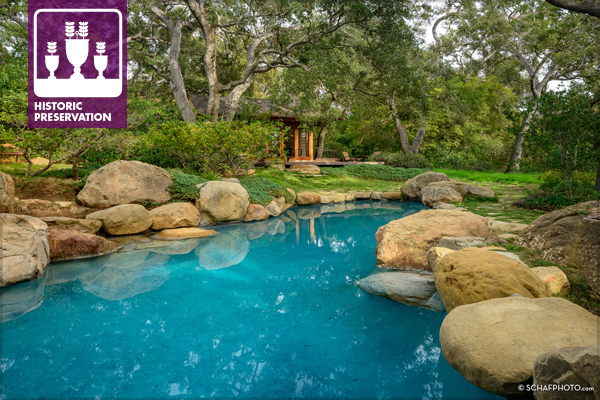 Most memorable was our stop at the Lovelace Estate in Montecito—a serene garden sheltered beneath a canopy of live oaks. 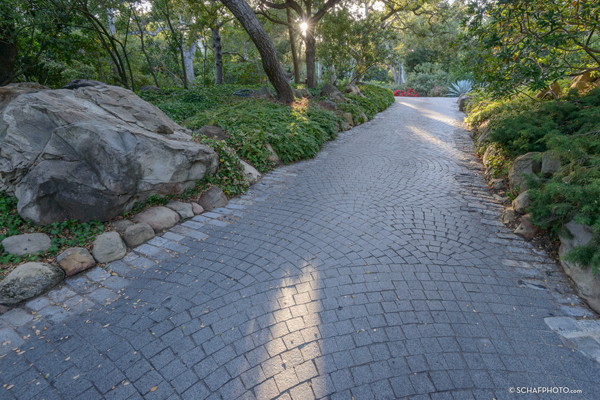 This is the garden where landscape architect Isabelle Greene, FASLA, created a free form, black bottom swimming pool that is sited and shaped to fit seamlessly into the landscape. 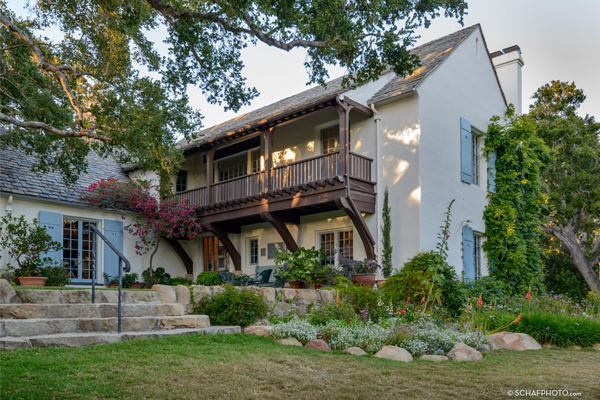 The entire four-acre property which features an English-style garden surrounding the home, drought tolerance and empathy with the native environment is elegantly designed and detailed. 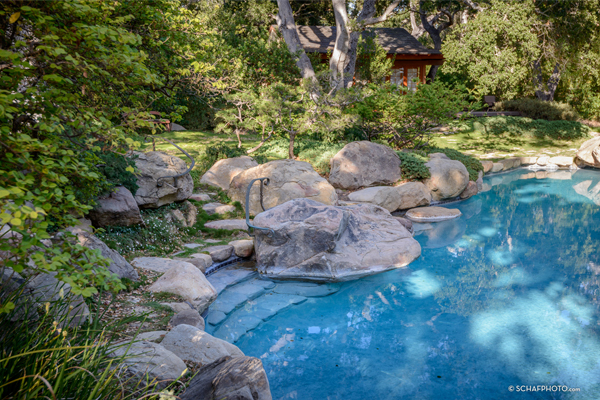 The swimming pool and associated Japanese-style tea house is the centerpiece of the garden and for me the great enticement. I can still recall the overwhelming urge I felt to leap into the swimming pool and float beneath those majestic trees. 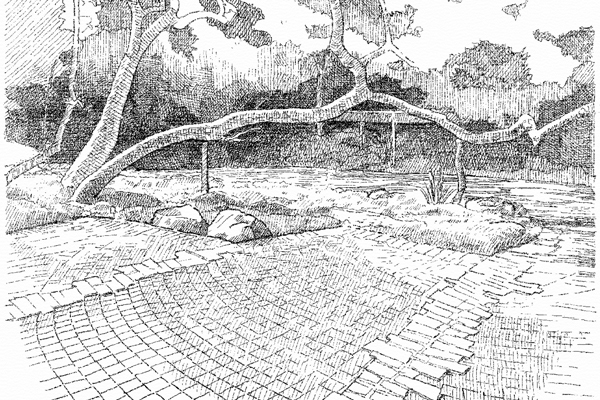 Now fast forward forty-two years to 2016 when I was sitting at my desk at PGAdesign, the landscape architecture firm I founded in 1979, and received a call from Isabelle Greene, who modestly started our conversation by asking if I knew who she was. When I assured her that I certainly did, I learned that she was calling on behalf of Mrs. Lovelace, who was interested in exploring her options for how to insure that her home and garden would be preserved for future generations. Isabelle explained that Mrs. Lovelace was considering creating a conservation easement and asked if I might be interested in helping in some way. A few days later my business partner, Cathy Garrett, ASLA, and I were on a small plane flying into the prettiest airport I’ve ever visited, and then off to meet with Isabelle, Mrs. Lovelace, and two of her advisors. We toured the garden, which looked exactly the same as it did in 1974 except for the impacts of a six-year drought, and enjoyed lunch on the deck outside the tea house. This time, a bit older, my urge to jump into the pool was lessened. After the meeting and while on the plane back home I thought about all that we’d discussed and acknowledged that, while I felt my firm could certainly help advise Mrs. Lovelace about what to do with her property, I was also certain that our colleague Antonia Adezio had much more experience with this sort of thing and would be a better consultant for the task. After conferring with Cathy, I called Antonia when we were back at the office and asked if she would be interested in taking on the project. Antonia had for many years worked as the executive director of the Garden Conservancy. She had spent years of her career doing exactly what Mrs. Lovelace needed and she had some experience with the Lovelace garden. Antonia said yes to my proposal and I called Isabelle to decline the job offer for my office and refer her to Antonia instead. 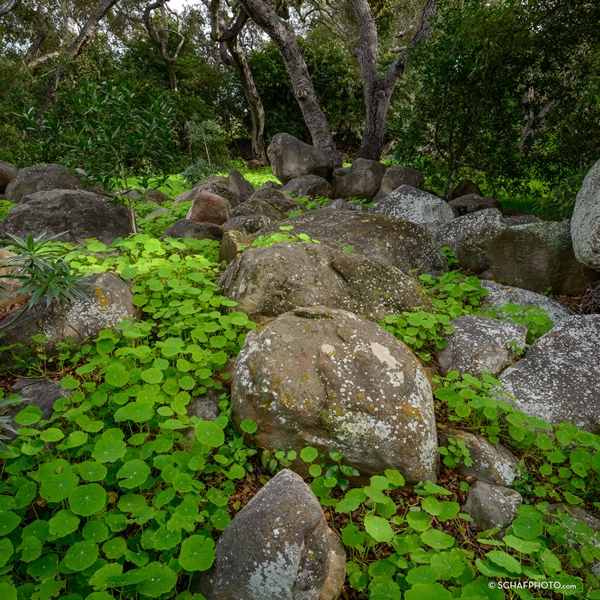 During our meeting in Montecito, Cathy and I had talked about our experience with cultural landscapes—the reason Isabelle had called me initially—and we introduced the idea of documenting the Lovelace garden as part of the Historic American Landscapes Survey (HALS). So, as I somewhat reluctantly passed on this prize contract, I added that if Mrs. Lovelace were ever interested in doing HALS documentation we would love to work with her and Isabelle. I knew I had done the right thing, but it did not feel that good. I knew the chances that we would hear from Isabelle again were next to nil. Happily, I was wrong. About one year later Isabelle called again. Mrs. Lovelace had hired Antonia, who had done exactly what was needed. Mrs. Lovelace had a report with the information she needed and now she wanted to proceed with documenting her personal paradise—a living work of art that she and her husband Jon Lovelace had crafted with Isabelle starting in 1972. When Isabelle called the second time it was fall of 2015 and I was already in retirement mode. I had been the managing partner of my firm for nearly 40 years and I had cut back to a three-day workweek that suited me. It was also the point in my career where I allowed myself to take on only the specific projects that suited me. As I neared that ultimate full retirement I completed three particularly satisfying projects that all focused on different aspects of cultural landscape work. Within this context the Lovelace job was truly the dream job of a career—my second such job, actually. I would be working directly with Isabelle Greene whom I’d formed an instant connection with; we would have a gracious and generous client; the site was stunningly beautiful; I would be doing HALS documentation, which I enjoyed more than any other aspect of the profession; I got to define the scope of the project; and best of all I was allowed to select my dream team to work with me. The historian we wanted was easy to select. Carol Roland Nawi is a colleague and good friend. She had served as State Historic Preservation Officer for California and our office had worked with her on other cultural landscape projects. But, Carol had already retired and I was not certain she’d want to do it. I called Carol, described the project, and she said yes. The photographer was also easy. PGAdesign had always wanted to work with Stephen Schafer, one of the two best HALS/HABS/HAER photographers in the country. Steve, who lives in Southern California, not far from the Lovelace property, also said yes. 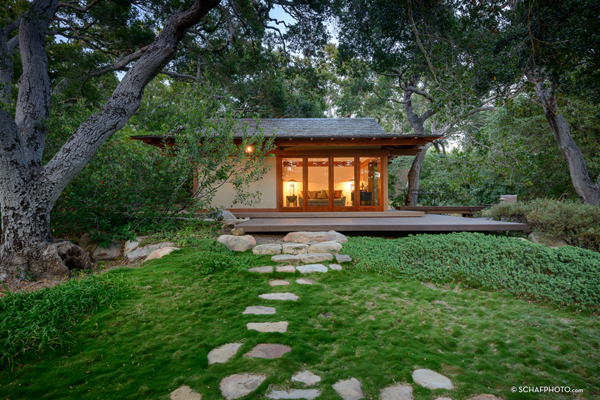 Choosing which architect to document the tea house and garage/studio was more difficult. The house did not need to be documented because it had changed very little and we had a set of the original George Washington Smith plans. Selecting the architect was hard because we had so many good choices to choose from. Since we had recently hired Nancy Goldenberg from Carey & Company to work with us on one of the other three of my end-of-career projects, Cathy and I agreed to invite Knapp Architects to do the Historic American Building Survey (HABS) drawings for this job. We consulted Isabelle to identify a local surveyor for the team and she recommended Steve Davis Surveyor. Once our proposal was signed and the survey completed, the team scheduled two days of field work. On day one we all met at Isabelle’s office, where she described her design process and working relationship with Jon and Lillian Lovelace. She pulled out many of her original concept sketches and showed us the various working models she’d built to help understand how to build pieces of the garden and explain them to her client. The two days of field work were long and intense but we succeeded in capturing what was needed. I made audio recordings of Isabelle and took 460 photographs to augment our field notes and drawings. We worked on three twenty scale survey base sheets. Cathy recorded the field notes for the more intensely developed areas around the entry drive, house, garage/studio, tea house, and swimming pool while I captured the details for the other two-thirds of the site and made a detailed plant list of the endemic plants and those planted by Isabelle over the decades she worked on the garden. While Cathy and I were recording the landscape features, the team from Knapp Architects was measuring the two buildings we were contracted to do, Steve was moving around the garden with his cameras as the light shifted throughout the day, and Carol did research at the local library and interviewed Mrs. Lovelace. The HALS and HABS field notes and audio recordings of Mrs. Lovelace and Isabelle were all included in our final submission for the HALS collection. Back in our offices each of us proceeded to complete our portion of the scope of our contract. It felt odd but liberating to not have a public agency client pressing us for regular submittals or deliverables. We set our own pace and completed the work in a manner that we each judged appropriate for the significance of the property. No one injected last minute changes or demanded cost cutting measures. This was a dream job in every way. As the final pieces came together we realized we had produced something exceptional—it would have been hard not to given what we had to work with. 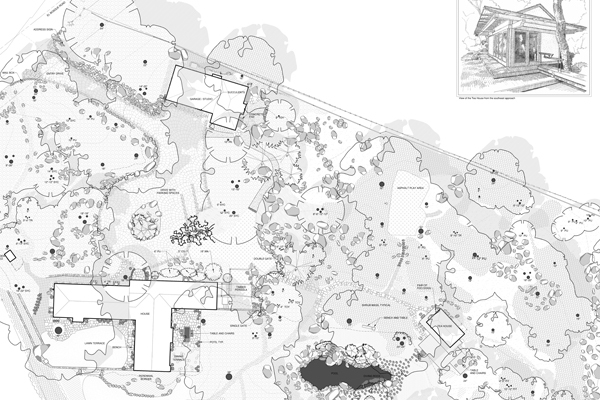 The well-written narrative, the illustrative CAD plan drawings, the hand-rendered sketches, copies of Isabelle’s beautiful design drawings, and dozens of stunning color and black and white photographs of the garden, tea house, and house, including interior shots, all added up to an impressive HALS submission. It was Steve who first suggested we should do a book and no one disagreed. A book was not in our contract, but Steve and his graphic artist partner, Sheri, took it on anyway. 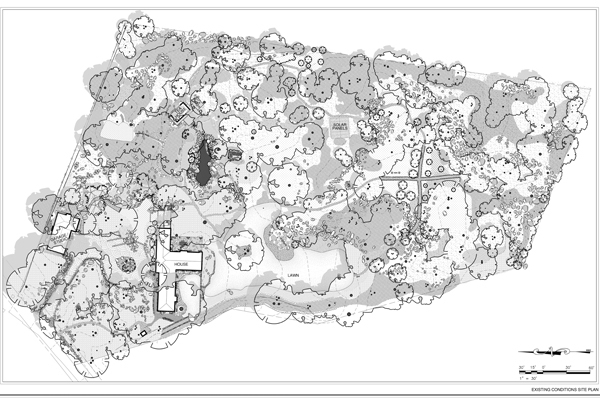 The result is Documentation of the Lovelace Garden, which is available in paperback from Magcloud. Hardback copies of the book are available from BookBaby. Once some of the roads were cleared, crews were able to access the Lovelace property to begin removal of the mud and debris. Fortunately, the home and garage/studio were not damaged but the beautiful tea house and swimming pool were both hit hard. The tea house had to be stripped down to the studs and the pool was invisible, having been filled with mud and boulders during the mudslide. As of March 2018, plans are underway to restore the tea house and damaged portions of the garden, and the plan is to use our HALS documentation as reference. See the full drawing set (PDF) for more of our documentation, including PGAdesign’s HALS drawings and my sketches. It also includes several of Isabelle Greene’s original design sketches and drawings. Chris Pattillo, FASLA, is a member of ASLA’s Historic American Landscapes Survey (HALS) Subcommittee and past chair of the ASLA Historic Preservation Professional Practice Network.